Traditionally, the Feast of the Annunciation is observed on March 25th (nine months before December 25th). 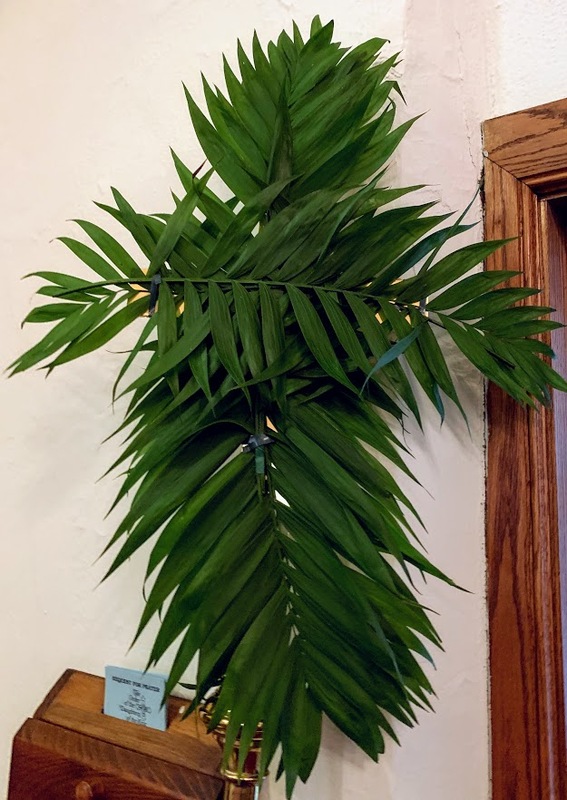 This year, it fell on Palm Sunday and so was moved (“transferred”) to today. Here at Trinity, we have a Wednesday 11:30 a.m. Eucharist each week. We invite you to join us for the Feast of the Annunciation this Wednesday, April 11th, at 11:30 a.m. In pre-Reformation England, this was also the Feast of Our Lady of Walsingham. In 1061, Blessed Richeldis claimed that the Virgin Mary appeared to her in a series of dreams/visions and asked that a duplicate of the Holy House of Nazareth be built in Walsingham. Thus, the house was to welcome all to the childhood home of Jesus. Like the Virgin Mary, we were all invited to make our hearts a “holy house” in which the Lord would dwell. It is interesting to note that Walsingham was the third most popular site of Pilgrimage in Europe (after Rome and Santiago de Compostella).